Imagine you had a magic red button that when pressed, could make all your dreams and desires come true. You want someone to fall in love with you? Click the button, and it happens. You want more money, or a new car? Click the button, and it’s yours. You want to change job? Give up smoking? Lose weight? Click…click…click… Like the genie in the bottle, the magic button provides, every time. Morphic fields are an exciting new branch of scientific research. These subatomic energy patterns connect everything on the planet together, including you, me, and anything that you might desire. And because you’re already connected to everything through morphic fields, you can use them to obtain whatever it is you want. They are the nearest thing to a magic red button. Make almost anyone fall deeply and genuinely in love with you, even an ex! 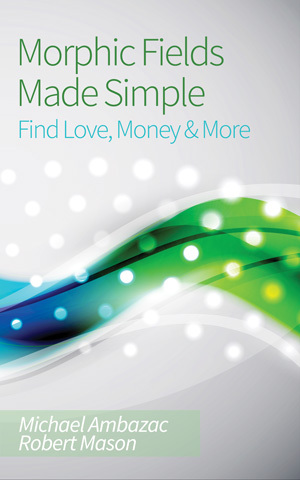 Attract money and wealth into your life. Easily beat any addiction. Smoking, drinking, gambling, and anything else you want to quit. Lose weight and get fit without having to worry about difficult diets. Improve your memory, and learn new skills effortlessly. Copyright © 2019 Michael Ambazac. All Rights Reserved.